Captures can lack detail, and image stabilization can be an issue. 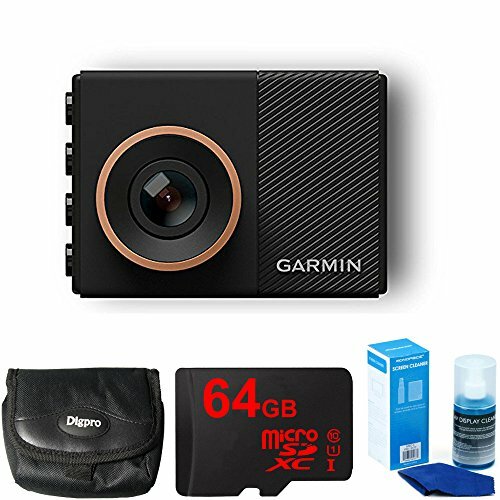 Garmin’s Dash Cam 45 shares all the advanced features found in its Dash Cam 55 and Dash Cam 65W siblings, such as driver alerts, Wi-Fi offloading via an app, integrated GPS, and red light camera tracking. It also sports the same compact design and a clever magnetic mount. But its night captures aren’t as good as they are on the other two models, and in our tests, the video stabilization doesn’t deal well with large bumps or stiff suspensions. 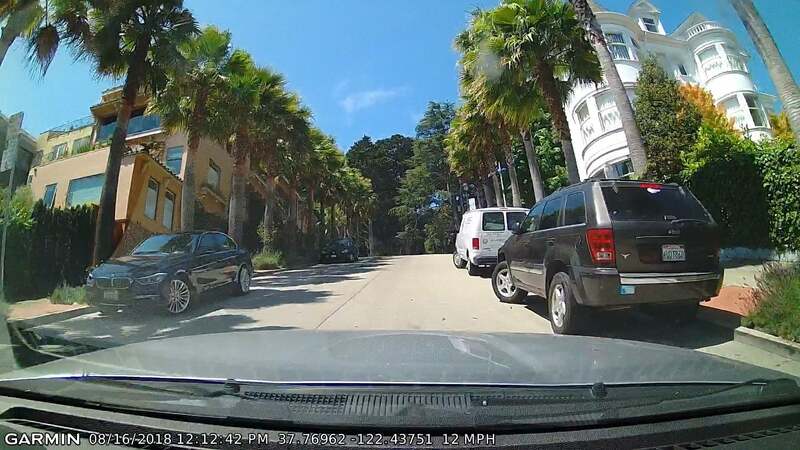 Note: This review is part of our ongoing roundup of the best dash cams. Go there for details about competing products and how we tested them. The most salient aspect of the 45 (and its 55 and 65W cousins) is its diminutive size—approximately 2.2 x 1.6 x 1.4 inches. The three cameras are identical in appearance except for the ring of color around the lens neck: copper for the 55, pewter for the 45, and a darker pewter for the 65W. The back of the camera is dominated by a two-inch color display, while you control the unit and browse menus using four buttons on the right side of the unit. Navigation and configuration are a pretty easy deal, with menus that are logically laid out. Even newbies should be up to speed in a jiff. The only other major physical features are the micro USB port on the left side and the SD card slot and heat vent on the bottom. The USB port is oriented so that the power cable (auxiliary/cigarette lighter to micro-USB) points up to the ceiling. Overall, the Dash Cam 45’s design is thoughtful and on point. Garmin’s been at this a while. Though the camera is diminutive, the display is easily legible, and the buttons and interface are logical and easy. 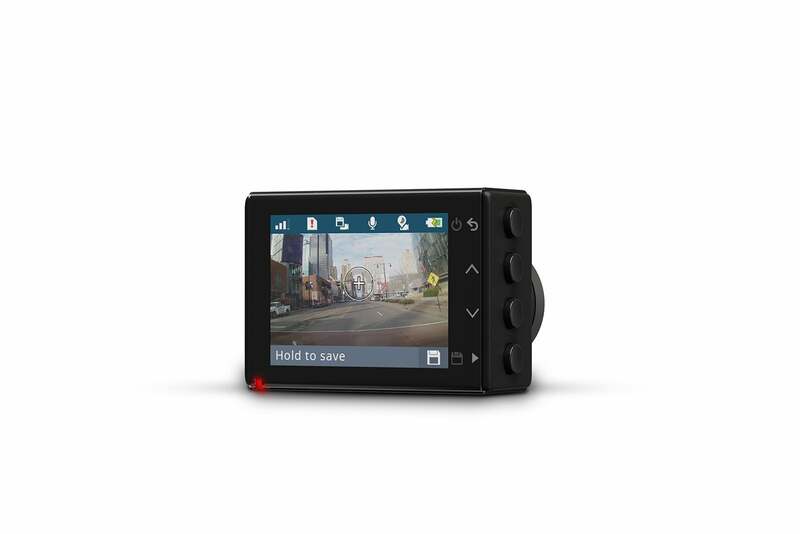 The Dash Cam 45 offers a 140-degree field of view and takes 1080p video at 30 frames per second. That’s plenty for documentary or legal purposes—at least if the camera’s optics are good and it’s processed properly. I’ll talk about whether the 45 fits that description in the performance section. The Dash Cam 45’s mount is a clever design consisting of a small magnetic disc that sticks to the windshield, a magnet on the bottom of the mount arm that attaches to it, and a ball joint in the camera itself where the other end of the mount arm mates. It’s easy to install, highly adjustable, and reliably retains the orientation you set it to. However, there’s almost zero flex or impact absorption. That probably helps the G-sensor detect impacts more reliably, but might contribute to jumpiness of the Dash Cam 45’s video. Garmin includes an 4GB SD flash memory card, so you can start recording right away. Indeed, installation is so easy, you can start using the camera on the drive back from the store. No, the 45 isn’t a pocket-sized LIDAR set. That’s the camera’s magnetic mount on top, and the USB power cable to the left. One unique feature of the Garmin dash cams is Travelapse, a function which, as you might guess, records a time-lapse version of events. It’s done in real time, so there’s a warning when you start the car that you’re in Travelapse mode. Because it could skip some details, this mode is perhaps not so useful in court. Bad driver tech is provided in the the form of lane departure, collision, and you’re-holding-up-traffic-after-the-light-turned-green warnings, as well as a red light camera alert. The latter is dependent upon Garmin having info on the area. As it’s a company with vast experience in GPS units, the coverage is broad. Garmin’s VIRB app allows you to upload photos and videos from the camera to your phone. There’s also Wi-Fi connectivity so you can offload your video captures to your phone using Garmin’s VIRB app (shown above). 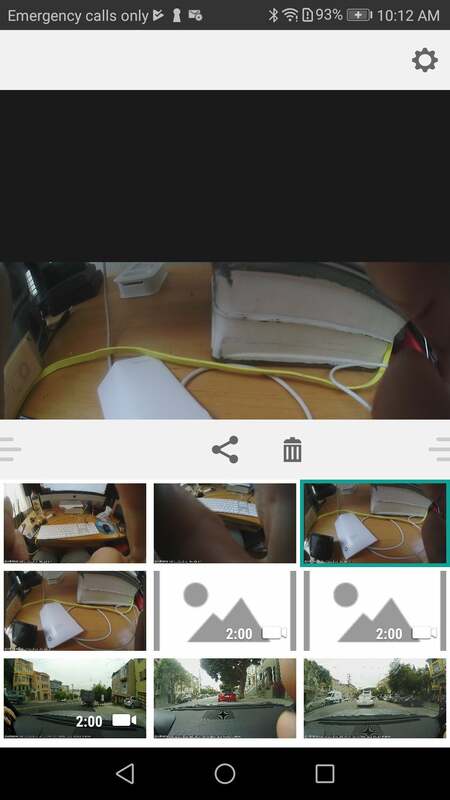 This requires connecting the phone to the 45’s Wi-Fi hotspot, then sharing the gallery from the main menu of the camera. The phone settings (types of units, feet/meters, etc.) available in the app are scant, so I’m hoping more will be forthcoming from Garmin. 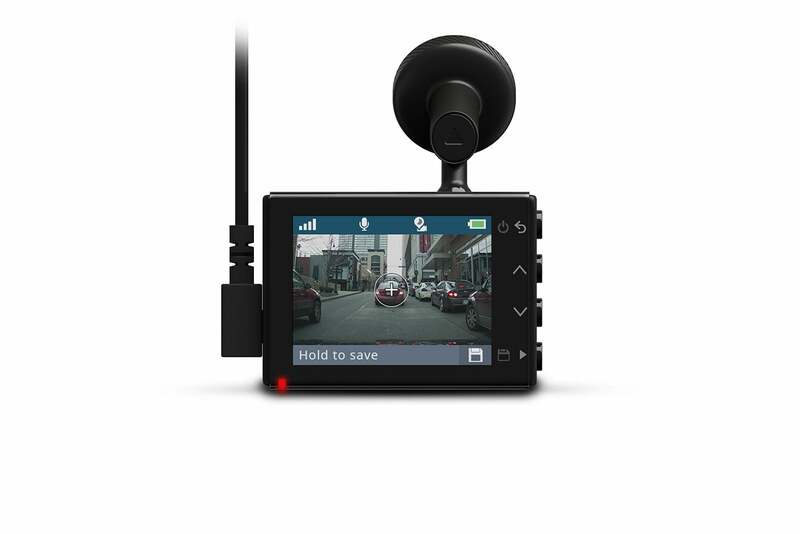 The Dash Cam 45 features motion detection and can be used for parking surveillance if you hard-wire it to a constant 12-volt source. The Dash Cam 45’s day video was good in terms of detail and color, if not quite as sharp as the 55’s and 65W’s. The night video on the other hand, while workable, was not nearly as good as that of its siblings. It has an orange-ish cast, and details aren’t as easy to make out. 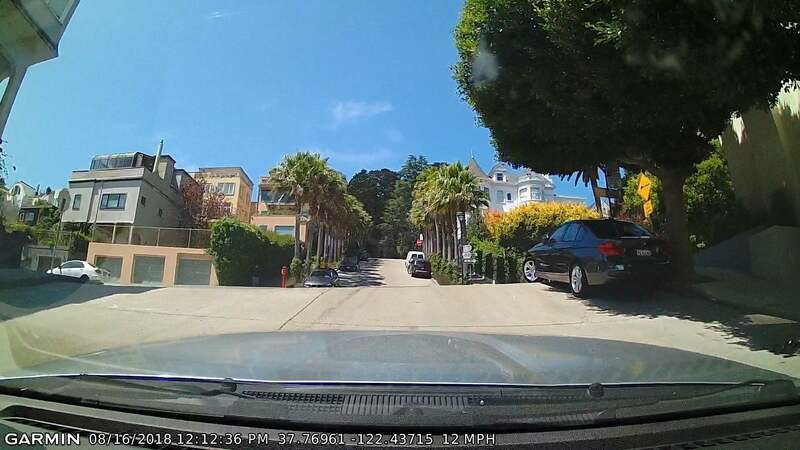 This is one of the rather bumpy San Francisco hills I test dash cams on. License plates are visible and readable, so the 45’s daytime video is more than adequate. While not quite as sharp as some others, the color palette and saturation are largely on point. The major issue that I experienced in my stiffly sprung 2006 Mazda MX-5 (Miata) was that the 45’s video suffered from the same tendency to bounce as the 55 and 65W, only in a more pronounced fashion. This might be partially due to the aforementioned lack of flex in the magnetic mount, but it really has the look of a poor image stabilization routine, or the lack thereof. Garmin saw the video I took and was able to replicate the issue when the mount disk wasn’t securely fastened. Re-inspecting my installation, my mount was affixed as tightly as possible. This was also my second go-round with Garmin in the last couple of months, having reviewed the Dash Cam 55. It had some of the same issues, just not as noticeable. Note that there is a suction mount available, which might mitigate the issue somewhat. You’ll undoubtedly have fewer image stability issues with the 45 in a softer-suspension luxury vehicle, as well as in areas with smoother roads than, well, most of California. Still, Garmin really needs to work on its stabilization. 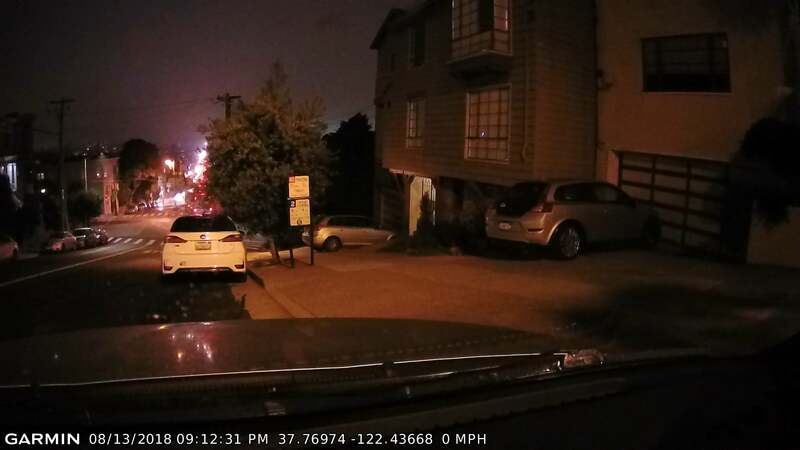 I rarely see this type of issue in other cameras, and all are taken out on the same route in the same vehicle for testing. The 45’s night video has an orange cast and doesn’t offer very sharp details. It’s better than cameras from a couple of years ago, but not as good as what we see these days even from cheaper cameras. When brightened, you can see more, but details are still a bit fuzzier than on Garmin’s pricier cameras. Thanks to the advent of better sensors, night video in even cheap cameras is far better than it used to be. Given its $150 price, the 45’s is well below the curve. The Dash Cam 45 will run for quite a while sans 12-volt. The record-after-power-loss setting conservatively maxes out at a minute but that’s plenty of time, assuming you’re not involved in the end of the world. 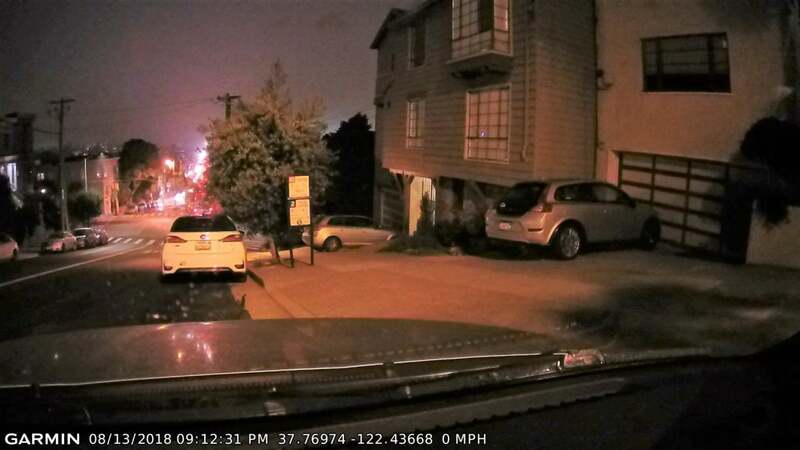 Unlike some “bargain” cameras using only supercapacitors (looking at you, Aukey DR01), you can be sure that the entire incident will be recorded even if the 12-volt system is rendered inoperable. After restarting the camera I saw nearly 40 minutes of run time—10 minutes more than Garmin’s 30-minute claim. Yes, it’s a handy-cam as well. The Dash Cam 45 runs a little warm, most likely due to stuffing lots of electronics into a rather small space. Claimed operating temps are from -4F to 131F, but as with all dash cams, we recommend you not leave it baking in the desert sun. There’s no arguing the Dash Cam 45’s physical design (outside of the mount) or feature set, and few people will have the issue I have with image stabilization. Even forgetting that, I still expect better video out of a $150 dash cam. 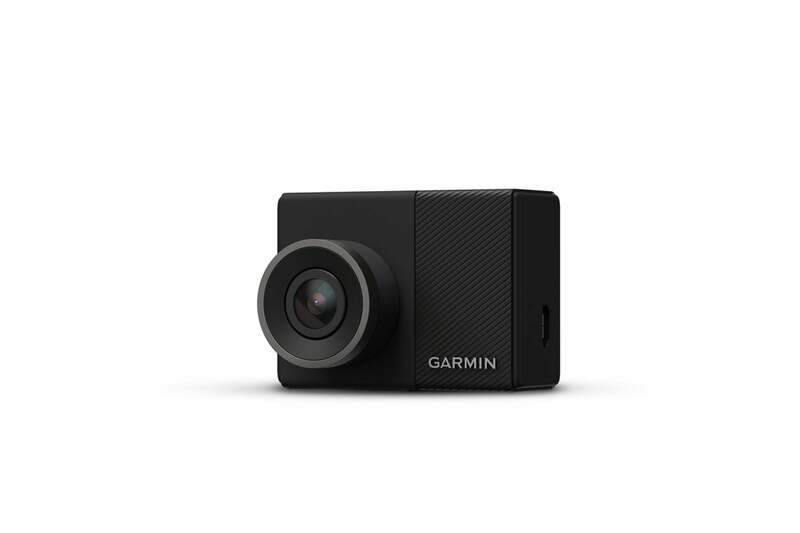 If you’re a fan of Garmin’s basic design, as I am, I say skip a lunch or three and go with the $200 Dash Cam 55.